Insert details below to receive the latest updates. I hereby confirm that the details furnished herein are true and correct and I shall notify you if there is any change. I have read and understood the Personal Data Protection Notice (“the Notice”) pursuant to the Personal Data Protection Act 2010 (“Act”) provided by LTC Group, its related companies and/or LTC Group of Companies (“Group”). I hereby consent to the Group processing my personal data in accordance with the Notice. Blending Quality Architecture Into Our Community Changing our world for the better. Improving Lifestyle With Brilliant Designs We don't just create addresses. We build homes. Redefining The Standards Of Living Where every inch is a piece of art. Creating More Purposeful Lives We dutifully fuel your aspirations. LTC Corporation Limited is a company incorporated in Singapore and listed on the Main Board of the Singapore Stock Exchange. The company is a member of LTC Group, established since 1930. The principal activities of LTC Group are Property Investment, Regional Property Development & Management, Steel Trading & Fabrication for construction industry, and Retail Operation (SOGO, KL). As Selangor State Goverment through Invest Selangor looks forward to contine as excellent working relationship with all government departments, agencies, companies and partners to ensure Selangor maintains a conducive business environment for investors and industries, Che Kiang Realty Sdn Bhd had become one of the event sponsors for the day. 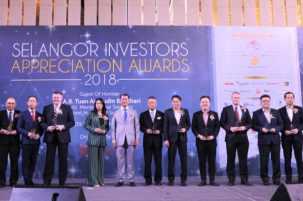 Selangor Investors Appreciation Awards 2018 held in Sheraton Petaling Jaya Hotel on 29th January 2019, have attracted more than 500 attendees to make the event successful. 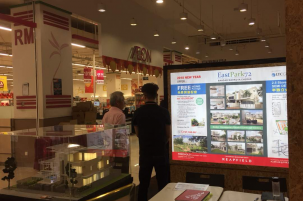 LTC Group with appointed agent from Reapfield Properties Sdn Bhd did marketing awareness for Eastpark72. We manage to bring few families to view our show unit. Respond of this event very effective and we received a lot of feedback from prospect. Marketing awareness campaign with appointed agent from Reapfield Properties Sdn Bhd. This is the 3rd time we held event at Aeon, Mahkota Cheras. The respond of this event is effective and met a lot of potential buyer. 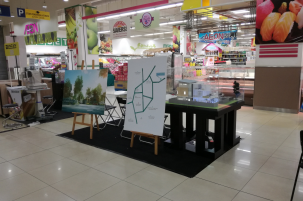 Recently LTC Group collaborated with Landbridge Properties participated in a property roadshow at Aeon Balakong on 10-16th July 2017. The seven-day event attracted many registrants. 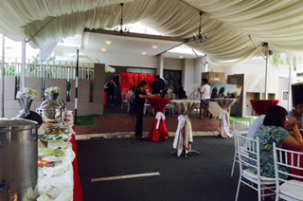 Prospect buyers were seen thronging around our booth to source for more information on our Eastpark 72 project. With the good response, We endlessly attended to the various enquiries of the prospective buyer’s needs. 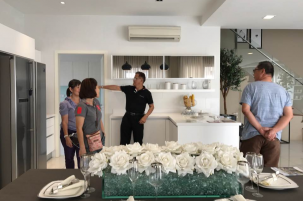 During Raya Festive Season, LTC Group in collabarated with appointed agent from Reapfield Properties did Open House in our show unit at Unit 62, Eastpark 72 Bandar Mahkota Cheras. We received a very good response from potential client. LTC Group in collaborated with Chester Properties participated in a property roadshow on 9 - 10th June 2017. 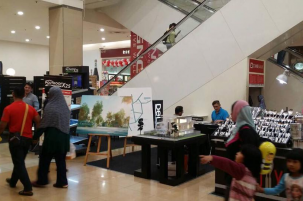 This is the 2nd time we held event at Aeon, Mahkota Cheras. We received good response from prospect buyers were seen thronging arround our booth to get more information on our project. LTC Group endlessly attended to the various enquiries of the prospective buyer’s needs. 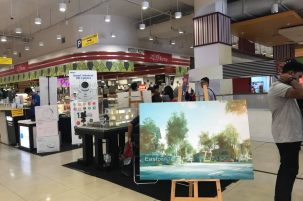 Recently LTC Group jointly collaborated with Cornerstone Realty participated in a property roadshow which had taken place at Aeon, Mahkota Cheras on 5-7th May 2017. The three-day event attracted many registrants with an overwhelmed of brisk sales. Prospect buyers were seen thronging around our booth to source for more information on our Eastpark 72 project. With the amazing response, LTC Group endlessly attended to the various enquiries of the prospective buyer’s needs. 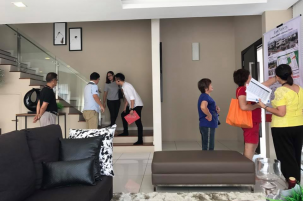 LTC Group in collabarated with Affirm Properties & Landbridge did Christmas Open House in our show unit at Unit 62, Eastpark 72 Bandar Mahkota Cheras. We received a very good response from potential buyer.